You know that Al's No. 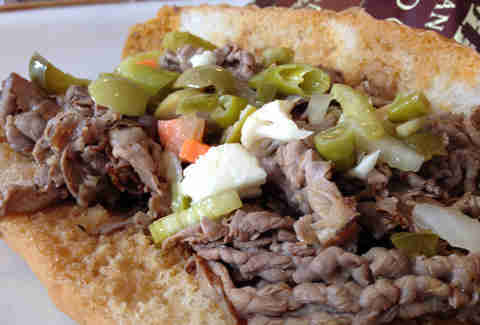 1 Italian Beef makes a great Italian beef. But what you probably don't know is that Hot Dog Station totally does, too. 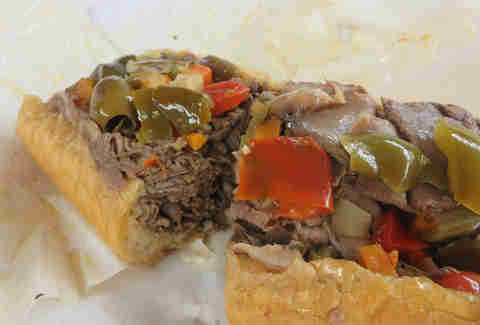 That's because the former is probably on every "Best Italian Beef" list ever made, and the latter, well, isn't. 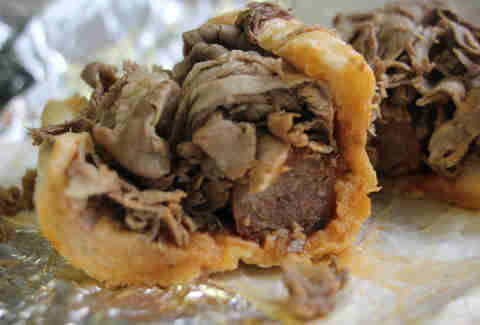 So we decided to fix that, dipping back into the Italian beef well to identify 12 spots that fly totally under the Chicago media radar. 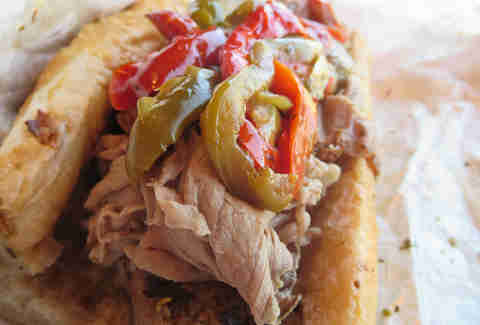 Italian beef doesn’t seem to be an official item on the menu of this Italian deli and grocer. It’s just been a special tacked on the wall for as long as anyone can remember. 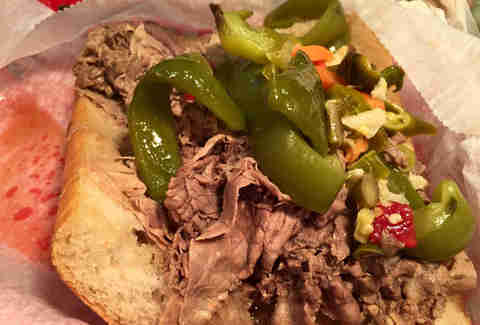 In any case, it’s a solid beef with thicker-cut meat, lifted to greatness by the place’s terrific house-made giardiniera (which you can buy jarred to put on whatever you want). This spiffy hot dog stand, located on a quiet stretch of Kimball opposite the end of the Brown Line, also does an excellent beef, with a brightly seasoned broth and hand-roasted peppers. This friendly neighborhood hot dog stand a few steps down Broadway also does a delicious Italian beef with a brightly spiced broth. Which spares you the embarrassment of asking for a hot dog with ketchup here. 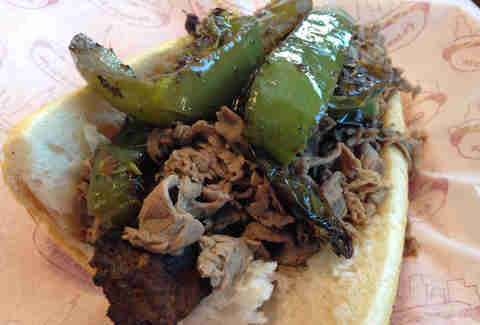 This old-school Italian deli feels like the tavern it used to be, with the whole family pitching in to make fresh Italian sandwiches that are descended from Italian beef royalty: the family's Mom’s Stepdad was Al of Al’s No. 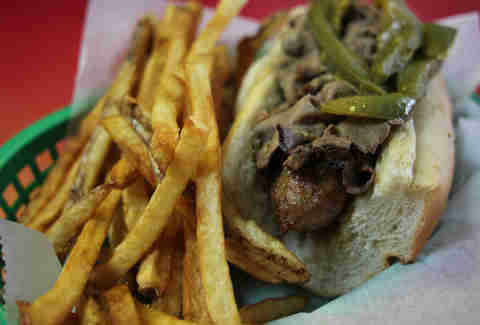 1 Italian Beef. 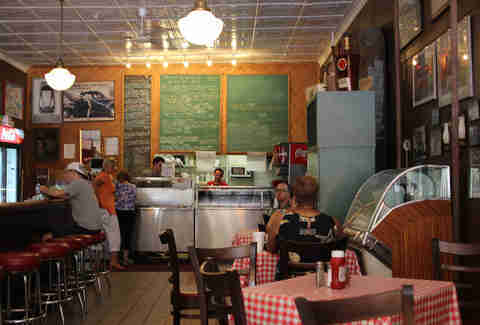 This Bridgeport pizza/sub joint covers all the Sou’side Italian bases, from steak sandwiches to Italian ice. 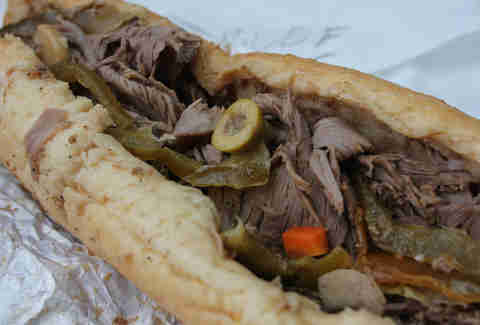 Like most of the sandwiches here, the beef is a monster, densely packed with lots of meat and the house giardiniera. Tucked along a quiet stretch of Addison at the city’s edge, you could live your whole life in Chicago and never stumble across this little beef shack with a diner counter. 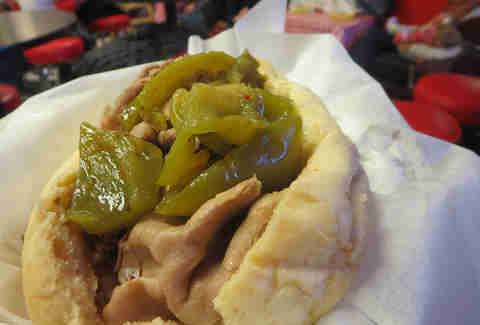 But it does a first-rate Italian beef combo, with flavorful sausage from a local deli and toasted bun from nearby Sicilian Bakery. This great-smelling Italian grocery and deli slices up your beef fresh to order before soaking it in the broth. The broth is a little restrained in flavor, so be sure to ask for the excellent house-made giardiniera to give it some kick. This Northwest Side Italian grocery is best known for its subs, but it uses a house-made sausage in the beef combo. And it’s pretty great, too. This is the kind of Greek burger stand with a menu consisting of approximately everything you’ve ever eaten in your life, where you might not think the beef (or anything not spelled G-Y-R-O-S) is going to be a standout. But it’s quite credible, and the fresh-cut fries make everything even better. 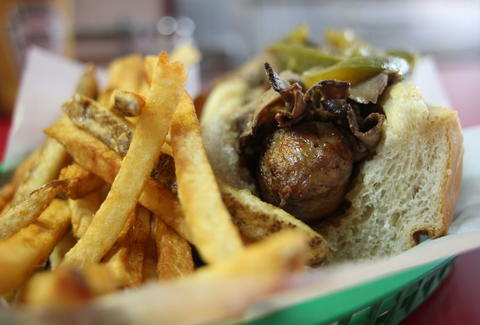 A Milwaukee Ave suburban joint with roots on the Northwest Side of the city, Celli's offers one of the most aggressively spiced (and salty) broths around, and does a great char on the sausage in a combo with sweet or hot peppers. If you’re starting to think all beefs taste the same, reset your palate here. 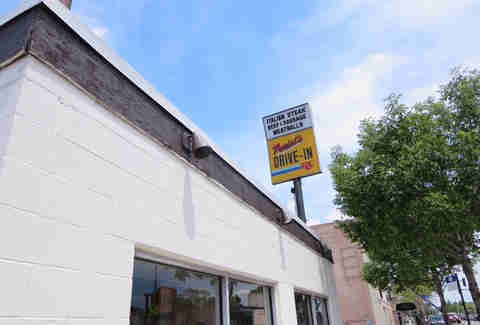 This vintage Southwest Side hole-in-the-wall makes a pretty solid beef (as well as a pretty solid burger, a pretty solid dog, etc. ), all of which are just an opening act for the super-solid milkshakes. This famed artisanal butcher shop does a rotating lunch special every day. 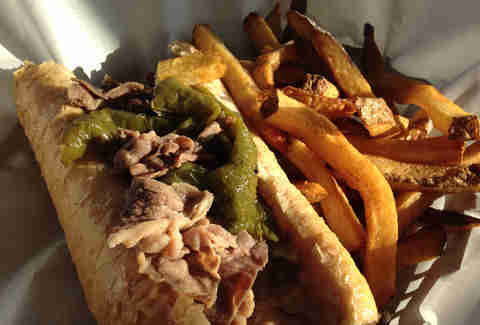 And once in a lucky while, it’s Italian beef. The quality meat, well-balanced broth, and house-made giardiniera lift this into the realm of a classic Italian restaurant dish. Mike Gebert is a James Beard Award-winning food video producer and writer and Founder of SkyFullofBacon.com. Follow him on Twitter @skyfullofbacon.